Your senior prom is one of the most memorable events from your time spent at school, so you want to make sure that it is memorable for all the right reasons. There are things that you must make sure you don't do, to make sure that you're not remembered for all of the wrong reasons at your prom. There is nothing worse than attending an event where your shoes are hurting you. If this has happened to you it can make the evening a long and tedious one, so it is very important to make sure that you wear comfortable shoes. If you are going to get new shoes for your prom, make sure that you have a chance to break them in properly, so you are not left hobbling about at your prom. Getting ready for your senior prom can stress some people out, especially when they spend too much money on their outfit and get into debt because of it. You can find thousands of prom dresses from promdresshop.com, or other online retailers, that will make you look stunning, without having to break the bank. Buy yourself a beautiful prom dress that is within your budget, and also within your schools dress code, and you will have one less thing to worry about. Getting the attention of people on prom night is one thing, but over sparkling is something that should be avoided at all costs. Make sure that you apply your makeup conservatively, as overdoing it could make you look like the Bride of Frankenstein in your prom pictures. You will want to keep your makeup subtle, and natural looking, which will make you shine far brighter and can make your pictures look radiant. Remember, we all want to be the princess of the ball, but wearing a tiara is also something which you should make sure that you avoid! Showing off too much skin is not only going to do damage to your reputation, but you may also find it is against your school's dress code. If you arrive at your prom in a dress which is deemed to violate the dress code, you will not be allowed to enter and could end up missing your prom entirely. Even if you have the figure for it, avoid plunging necklines, and if you choose a strapless dress, make sure it fits properly, or you will spend all night lifting your dress up. You do not have to avoid these totally, but if you are going to pamper yourself before your prom, have your facial a couple of weeks before the event. Harsh extraction could cause your skin to blotch or become red, which would be devastating for prom night. A Spray Tan is the same, do this a few weeks before the event, and depending on how quick it fades, you can always get a top up before your prom. Sometimes with spray on tans some people have skin reactions, which will not look very appealing on your prom photos! Blind dates can be lots of fun, as well as extremely tedious, so don't take the risk on your big night. Avoide going on a blind date, no matter how much your best friend begs and pleads you to double date! It would be better to go to your prom without a date than being stuck with someone that you have no connection with, at such a significant event in your life. Remember to have fun and not get too caught up in everything is one of the best pieces of advice that is out there. You can get consumed in the planning of your night, but make sure that you do not forget to let your hair down and enjoy yourself with your classmates. After all, it will not be long till you all go off on your separate journeys in life, and who knows when your paths will cross again. This article is contributed by Mediabuzzer. Reading this article brings back memories of my Senior Prom! My college formal was even more fun than prom! Nice article! LOL, I wished this list was out when I was in High School. I totally did the blind date thing, sort of. I decided off of a picture of him from a friend to take this guy to prom. It was too late to back off from the date as prom week was so close when I met him. So horrible!!!! Prom was not the best, the memories are the funniest though. Great tips for a prom I which I had these tip during my Prom time have a lovely weekend. Back in the days when I was in school, we don't have such thing as proms and I'm not sure if Malaysia schools have prom night until today. But it's definitely interesting to see how excited the high schoolers are for this day. My husband's niece had her prom night last month and gosh, I've never seen her sooooo excited! 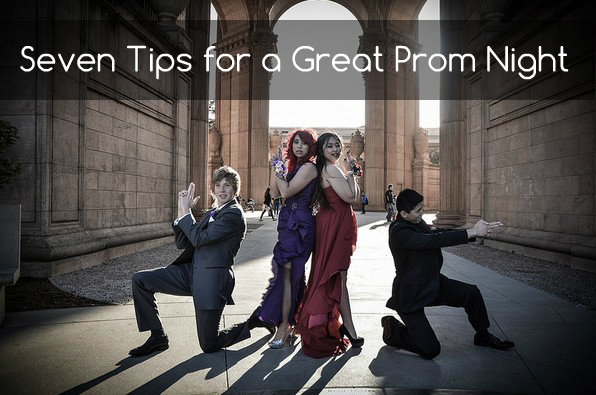 I actually skipped out on my prom but maybe I wouldn't have if I had these tips. Great advice, Kim! I really enjoyed going to prom when I was in school, but these are great tips for any fancy occasion. Man, my private school was so small we didn't have a prom (we did have a Homecoming at least), and these tips are quite applicable for that as well. Great list of tips Kim! I totally wish I could go to prom again lol! I never spent tons of money on my dresses- I found it kind of silly to do so. I even borrowed a dress for one of my proms haha! Overexposing is very important. We don't want any wardrobe malfunction.